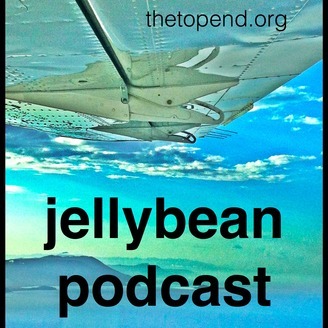 Jellybeans with Dr Doug Lynch, poorly differentiated doctor and pathological polymath. Emergency Medicine. Critical Care. Aeromedical Retrieval. Remote Area Medicine. Resource Poor Medicine. Disaster Medicine. Conflict Medicine. Ethics. Politics. Life. Death. These podcasts are atypical interviews with persons of interest. Critical conversations with Critical Carers. Carers like you. The people that listen to this podcast are insiders, movers, shakers and, I suspect, every listener is potentially a future interviewee. Each conversation is a story shared that has at least one hidden lesson. This is not straight forward #FOAMed (Free Open Access Medical Education. This is about the people behind #FOAMed, their ideals, their victories, their failures, their thoughts. What we do in our working lives is, on the good days, the best job in the world. What we do in our working lives is, on the bad days, one of the worst jobs in the world. I am just a human and so are you. I need to be reminded of why I put myself through all this, why I tolerate the damage to me, my life, my health, my family. I need to be inspired and re-inspired almost everyday. The Jellybeans exist because the people I talk to are inspiring, they are fascinating and they are funny. 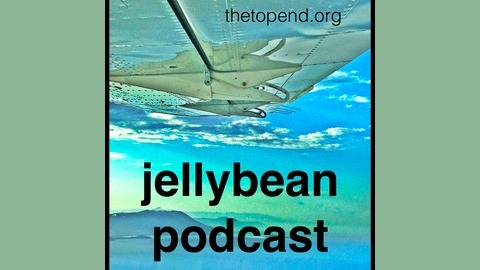 The Jellybean Podcast is has been around since before the first SMACC conference. We have been at every one. We have been a lot of places. We talk with interesting people in the Critical Care Medical World or on the fringes of it. We do this everywhere and anywhere. We speak to world leaders and front liners, we speak to paramedics, nurses, academics, researchers, students, the quiet achievers and the rock stars. Its about the quality of the conversation not the quality of the audio. Please visit www.TheTopEnd.org Contact via Twitter @TheTopEnd Jellybeans are available on www.Lifeinthefastlane.com and www.IntensiveCareNetwork.com Jellybean Jelly Bean Jellybeans Jellybeanz Beanboozled TopEnd TheTopEnd DougLynch With a bizarre side interest in Baggage or more accurately an interest in Less Baggage. www.LessBaggage.org Twitter and Instagram @LessBaggage Pinterest LessBaggage. At the last SMACC event in Sydney the Brazilians turned up in force. It was impressive. They came to learn but quickly it became apparent that we should be learning from them too. I won’t pretend to be a SoMe expert but I have never come across such sophisticated use of Instagram as a #FOAMed tool. Instagram is pretty huge and it may well be the number one SoMe platform for the generation that is entering medicine now. So if you are interested in things like teaching young nurses, doctors, paramedics then you might learn something really useful from an unusual source. Instagram is not a fringe #FOAMed platform when Nursing Educators have nearly 200000 followers on Instagram. First let’s quickly talk about the weird thing that just happened to you if you listened to the podcast first. Yes the podcast is 80% Português. It starts with that annoying Irish guy and then the Português starts at 6:20 when Henrique Herpich takes over. The English starts again at 24:20, cue laughs and we are done. We immediately went out for drinks and there is a reason that the Irish and the Brazilians get on very well. (My brother in law is Brazilian. He is extremely cool. Olá Gustavo!) But why? Why would I try to alienate the listeners to this podcast by hitting them with a podcast in another language? The Lusophone Commonwealth is why. Brazil, Angola, Mozambique, Portugal, Guinea-Bissau, East Timor, Equatorial Guinea, Macau, Cape Verde and São Tomé and Príncipe. 207 million Portuguese speakers in Brazil alone. Most Portuguese speakers are in countries where medicine is either developing very fast or in need of developing very fast! So they could do with some Português FOAMed. So we need FOAM other than English; #FOAMOTE The hope is that everyone involved with #FOAM and #FOAMed will look to their language-other-than-English colleagues and see opportunities and not barriers. These people want to work together and the fact that YOU don’t speak their language does NOT mean that you cannot work together. (That and the fact that @Sandnsurf speaks Portugueś and wanted to hear more Portugueś podcasts.) This PodcastThese are the #FOAMedBRA people that were in the room: Ian, Henrique, Lucas, Jule, Niciole and Daniel. @breakem www.breakem.org Go there and click on “Quem seguimos” (Who we Follow). (Nearly Dr) Henrique Herpich Twitter @H_Herpich Dr Lucas Oliveira J. e Silva @Lucasojesilva12 isaem.net Dr Jule Santos emergenciarules.com Twitter; @julesantosER Instagram; Emergencia Rules and a podcast! https://podcasts.apple.com/au/podcast/emerg%C3%AAncia-rules/id1387183276 Dr Nicole Pinheiro @nicolepin Dr Daniel Schubert Twitter @ducschub So what I want all #FOAMedBRA people to do is spread this around all the nurses, doctors, paramedics in the Portugueś speaking world and get them to visit this post, listen to this podcast because this is a felicitation. This is people like me and people like you saying “HelloMyNameIsXXXX, nice to meet you, how can I help?” to the entire Lusophonic world. There is more that unites us than divides us.